This report draws on an unprecedented body of data and analysis. 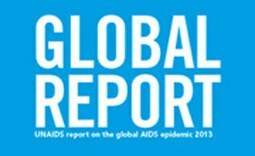 It is primarily based on three sources: epidemiological estimates, Global AIDS Response Progress Reporting (GARPR) 2013 and the national mid-term reviews conducted in 2013 of progress towards the targets and elimination commitments for 2015 that were established in the 2011 UN Political Declaration. GARPR and the model-derived HIV estimates provide the sources for information on quantifiable progress towards the 10 targets and elimination commitments. Beginning this year and continuing until 2015, countries are now reporting annually, rather than biennially, on progress in their national response. The move to annual reporting reflects the urgency of intensified accountability and accelerated action as the 2015 deadline approaches. When countries gathered in New York at the beginning of this century to articulate a new development agenda, one of the most momentous steps they took was to elevate health on the global development agenda. Acknowledging the historic impact of the AIDS epidemic, Millennium Development Goal 6 called for global efforts to halt and begin to reverse the epidemic, an objective that has helped inspire unprecedented action.Through a series of high-level meetings, the United Nations General Assembly established strategies, goals and targets to give life to MDG 6 and to accelerate progress towards achieving those objectives by 2015. At the 2011 High-Level Meeting on HIV and AIDS, UN Member States reviewed a decade of historic progress in the HIV response. Determined to build on prior gains in reducing new HIV infections and AIDS-related deaths, and looking forwards to the eventual end of the AIDS epidemic, they endorsed the 2011 UN Political Declaration on HIV/AIDS, which set forth a series of ambitious targets and elimination commitments for 2015. As the 2015 deadline draws ever closer, this report summarizes progress towards the targets and elimination commitments established in the 2011 UN Political Declaration, which support achievement of MDG 6. Specifically, the report describes both gainsand persistent challenges for 10 targets and commitments. The pledges made by countries in the 2011 UN Political Declaration include specific improvements in health outcomes (e.g. 50% reductions in both sexual and drug-related HIV and the transmission, elimination of new HIV infections among children); coverage and resource targets (e.g. reaching 15 million people with HIV treatment, mobilizing US$ 22–24 billion for HIV programmes); elimination targets (e.g. elimination of stigma and discrimination, gender inequalities and restrictions on entry, stay and residence); and steps to ensure the sustainability of the response (e.g. integrating HIV with other health and development efforts). Globally, an estimated 35.3 (32.2–38.8) million people were living with HIV in 2012. An increase from previous years as more people are receiving the life-saving antiretroviral therapy. There were 2.3 (1.9–2.7) million new HIV infections globally, showing a 33% decline in the number of new infections from 3.4 (3.1–3.7) million in 2001. At the same time the number of AIDS deaths is also declining with 1.6 (1.4–1.9) million AIDS deaths in 2012, down from 2.3 (2.1–2.6) million in 2005. As this report reveals, striking gains have been made towards many of the 2015 target and elimination commitments, although significant challenges remain.